Today is April 8, 2019 we went to the Wenyu river again to collect our pH level data. Things that I notice that were different from the last time we had visited to Wenyu river was: the trees were filled with leaves, there were flowers on the ground It showed many signs of spring. But the weather is still pretty cold. Even though that spring has come it did not make a lot of difference to the pH level that we had collected last time. Last time when we were at Wenyu river was 3/6/2019, and the pH level for station 1 is: 7.0 from the strips and the acid drop. And for station 2 is: 7.5 from both the strips and the acid drop. This time the data was station 1 is: 7.5 both from the strips and the acid drop. Station 2 is the same too 7.5 both from the strips and the acid drop too. My theory of why the pH level increased is now that spring is coming there are more acid things then when it was winter. Because there are a lot of things growing and more things decomposing too. So, I think the next time when we go to the Wenyu river again I think the pH data will stay the same, but it might rise a litter bit as things are warming up. I think ISB is a very environmentally friendly school. Because we do a lot of environmentally friendly activities. Like: we have earth hour where we turn off all the lights in the school. We also have a FAB Lab where we take the plastics products that has been used and thrown away then turn them into something new and useful. 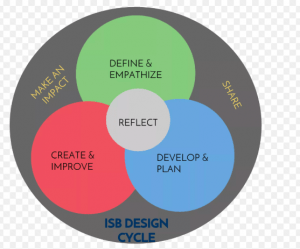 Although there is something that ISB can change to be a better environmentally friendly school. For example: The cafeteria lights, there are bunch of lights on and no one is in the cafeteria and we could of just roll up the blinds and let the sun to power the lights that we need. Besides that, could save a lot more electricity. So, if no one is in the cafeteria than I suggest turning of those lights and save more electricity. Should Freedom Speech Be Absolute? Please click here to see my fakechat image. Today 3/6/2019 we went to the Wenyu River, to take some pH data. Things that I’ve notice the nature does not have many green, the temperature is increasing, and the pH level is increasing. There is a pattern that I’ve notice since the last few time we came to Wenyu River is the pH level rise as the temperature rise, and it decrease as the temperature decrease. For example at the beginning of the year which is September and October the pH level was 7.5- 8.0 through station 1-3. but as the temperature gets cold the pH level went down which it was December and January the pH level was 7.0-7.2. Now it’s February and March the pH level went up again. I think this is happening because there is less acid everywhere because everything has sort of died away, but as the things starts to grow again there is more things to have more acid. things that challenged me that most was drawingI’m not really good at drawing. And I overcome it by keep trying to make it better and in the end it actually worked. 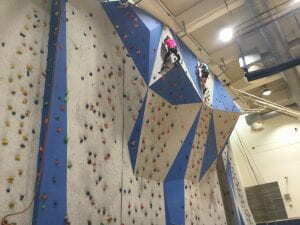 Skills that I developed is Collaborating and problem solving. 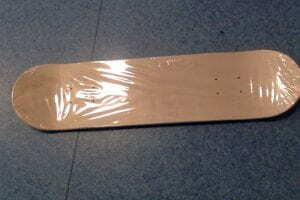 the high light of this week is making skateboard. Things that worked for me is that the colours turned out pretty good. But things that didn’t turn out is That the spray paint have fallen off a little, but that made the backside incomplete. I fixed that by using some paint markers and fill up the space, so that no one would notice. I improved my design other students and teacher’s help, they helped me know what colours I should use on my dragon’s eye. 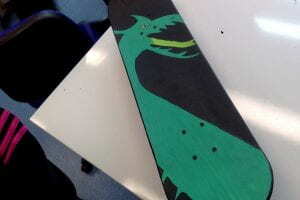 In ignite week for define and inquire I designed my skateboard, which is a dragon with a black background. 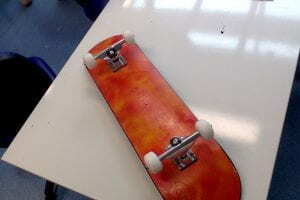 For the backside of the board I did sort of a flame design with red orange and yellow. I designed where the dragon is going to be. I started with spray painting the back with the red orange and yellow mix together. Then I drew the outline of my dragon on the pencil tracer. 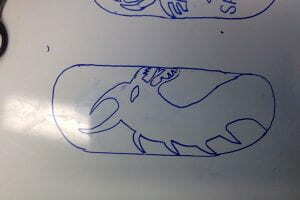 Then One problem that I realised was that I drew the dragon at the wrong side, it was on the side where we put our feet. But it was too late to fix it. That was one of the challenge that I had. 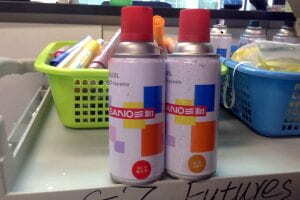 the materials that I used are spray paint and paint market. The techniques that I used are cool colour and the warm colour spared. I develop the skills to match colours and make them look good. During the process I had a lot of feedback from students and teachers. For the ignite week project I choose masterpiece with a message. It’s about learning what a Skateistan is and what they do. A Skateistan is a group of people who provide education for people who wants it. They give free learning and also teach the children who are intersted in skateboarding in Afghanistan, Cambodia, and South Africa. 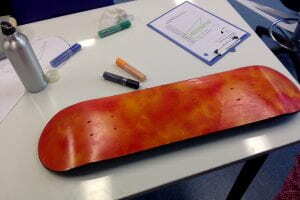 For this project we are going to design a skate board and we’re going to sell it and raise money for Skateistan. And for my idea is I’m going to design a dragon roaring down but not flying, it’s going to be green and the background is black. Things that inspired me are the logo of ISB and some videos I saw on youtube about animals. Things that might be challenging are maybe the design might not be good, and making sure that I have a message to match my image. 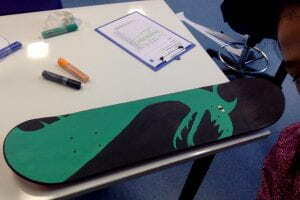 I think the message is going to be “We can be brave, bold and be able to do hard things like dragons.” I created my skateboard using the ISB design cycle. In 2019/1/25, we went to WenYu river to test the pH level. I notice that the data hasn’t really changed, but it did decrease a little. The data is going in almost constant rate. and the average is about 7.1. From what I know is that the closer you get to 7 the better the it is, but I wonder if that is true? And I wonder why the data decreased a little? It is because of is cold so there isn’t as much living things to give out acid? I wonder the next time when we go to wenyu river is the acid going to be even lower? because as my prediction as the temperature gets colder is the pH going down? Because when we started to collect the data in Aguest it was about 7.5 – 8.3. But starting from Septemper to now the pH has dropped from 8.3 to the lowest 7.